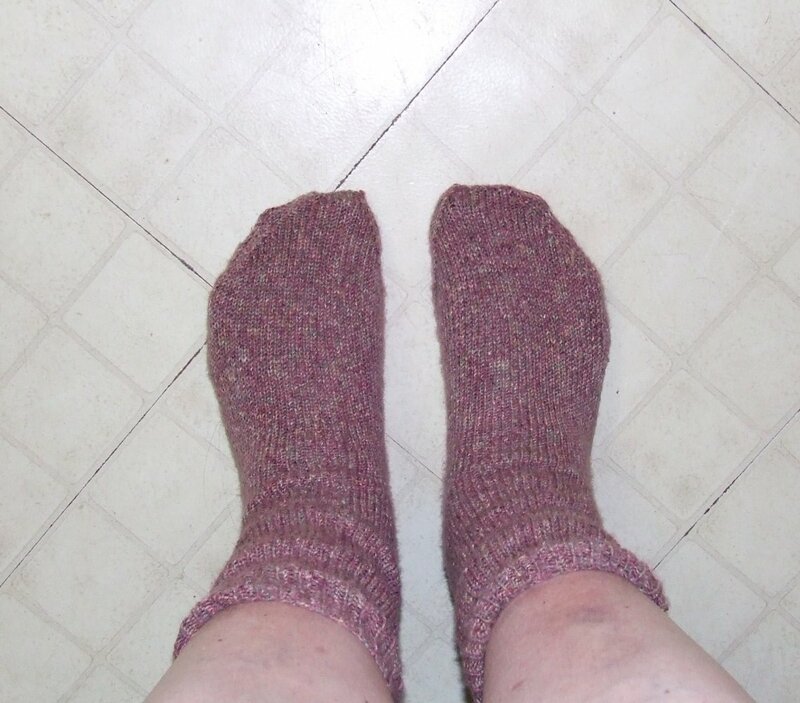 I have never worn hand knit socks until my dear friend “BAD”Anita gifted me with this pair. Here they are, stylishly scrunched around my fat ankles :-). These wonderful socks kept me toasy warm and my feet think they’re in Heaven . My toes don’t hurt, they don’t bind and they’re incredibly soft. Makes me wish I was a knitter, lol. And yes, I can hear JudyL saying “if you want to knit, get off your duff and learn how”. My hat (crocheted of course) is off to those crafty knitters! I have tried…and I have several books, but somehow, my left handed self cannot deal with holding those needles the proper way or something. I can crochet, lol and quilt…does that count?